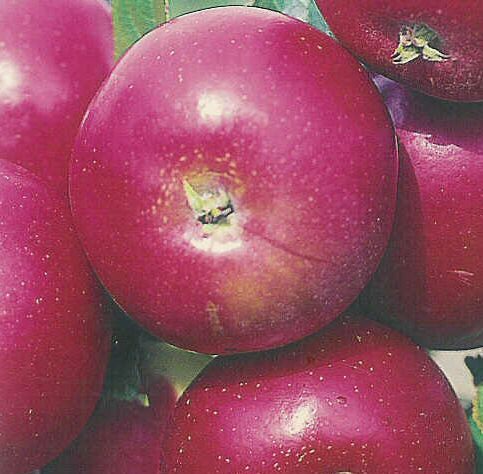 Red Devil (Malus domestica 'Red Devil') was introduced in 1979 and is the result of crossing the apple varieties Discovery x Kent. An outstanding garden apple variety with a deep scarlet skin and red stained flesh when fully ripe making it fun apple for the kids. especially. ots of flowers which attract the local wildlife. good choice for growing in a container.